You can now register for 2018 summer programs. Start here. Our new brochure can be downloaded right this second, here. There are a number of new, exciting courses to choose from this season. There are new locations, too. Still 150+ in total, nationwide. Get to know the iD Tech Pathway™ for a long-term vision of what camp can be. Also, new add-ons to give students even more of a collegiate edge. Details. AcademyNEXT is a unique opportunity for advanced campers. Check it out. For those of you still here, I absolutely must start by proclaiming that Summer 2018 is sure to be our best season yet. Hands down, without question. But in full transparency, I’m not really going out on much of a thin, wavering limb by saying so. And over and over in a handful of other past blog posts, too. Could we have a case of November optimism? Maybe. But do we have the track record to back it up? You bet. Because while the setting summer sun signals the end to another chapter in iD Tech history, it also means it’s time for us to hunker down and start penning the next. Thus, our confidence in making such “bold” predictions stems from the fact that we’ve accumulated yet another season’s worth of experience—documenting the good and the not-so-great along the way—and have already set the wheels of improvement in motion (months ago, at that). So, sure, maybe we need to get a tiny bit more creative with these early November communications. But more so, we are just consumed with wanting to get bigger, better, faster, and stronger. Every. Single. Summer. Let me prove it (again). Not just a new coat of paint this season, or a routine tune-up. No, we are talking an entire new engine altogether. Cleaner, sleeker; new set of tires, features, add-ons, and more. It’s a top to bottom revamp. Take a look, poke around. While we think it’s great, we built it for you, and would love your feedback. We offer summer programs at over 150 prestigious campuses, which makes it hard to believe we could possibly add more. But sure enough, every year we are passed requests from families in new cities and states asking us to consider setting up shop in their neighborhoods. And we work hard to make it happen, whenever possible! and others (and more still to come). View all locations. It’s also worth noting, that in addition to brand new locations, we’ve also expanded offerings at existing locations. This means you might be able to find Alexa Café and iD Tech Academies in closer proximity than ever before. To help your navigation, we’ve brought back the location finder. Just input your city, state, or zip, and you’re immediately met with the locations most convenient to your locale. Give it a shot by clicking the image below. Location is important, but it’s also one of the easiest things to figure out when registering for camp and combing through the different variables. But courses? The search is so open-ended! Minecraft, Roblox, Robotics, 3D Printing, Wearable Tech, Coding. It ALL sounds cool, right? Out of the different available Paths, coding, game development, robotics, or design, what does your child want to do? Once your specific “Path” is determined, you can get familiar with the related courses that fall under that Path’s umbrella, along with the Experiences offering those courses (iD Tech Camps, Alexa Cafe, or iD Tech Academies), and finally, the locations matching your preferences. The decision is tough, and probably always will be—there is just too much good to choose from! Because the only thing that will never change with our course catalog is the fact that it will always be changing. Well, and that it will always feature the best tools from companies like Adobe, Apple, Autodesk, Google, Microsoft, Unity, and other tech icons. Why? Because it’s predicted that by the end of 2018, 2.4 million STEM jobs will go unfilled. To help close that gap – and to keep student skills up to date with current and future industry landscapes – it’s imperative we invest heavily in our curriculum—every season. Technology never sleeps, so neither do we. Our Camp Specialists can provide personalized recommendations based on your child’s interests. Call 1-888-709-8324 if you’d like to chat. Not a new feature, per se, but a fresh brochure. You can download it here. Flip through for a digestible summary of all available 150+ locations, the aforementioned courses, and our different Experiences. To recap so far, we built a new website and it has some cool new things. Didn’t you see the sweet new courses? It is in fact November, but hear me out. Traditional thinking says the school year and summer are completely independent of each other. Kids go to school and learn, and then run off to summer to have fun, and then back to school to learn some more, and so on. Simply put, as a summer camp, we think differently. For us, summer is less of a season, and more of a catalytic event—kicking off a lifelong pursuit for many students to achieve their tech aspirations. The iD Tech Pathway™ is the epitome of such a mindset. 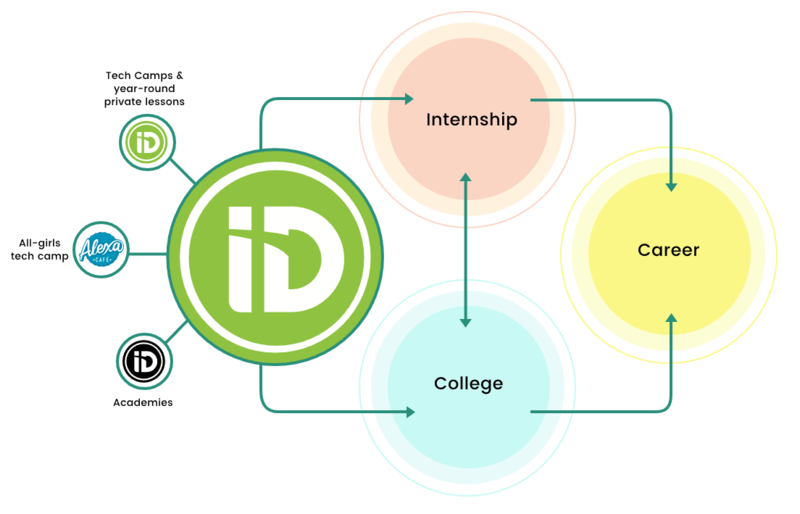 As our long-term skill development system, the iD Tech Pathway is designed to not only ignite a passion for technology at camp, but to set a navigable course for further exploration—year-round, and then on with students as they head to college, pursue internships, and ultimately arrive at dream careers in coding, game development, robotics, or design. The idea is that a mastery of tech is no different than disciplines of foreign language, music, or sports—none of which can be mastered in an hour, or even a month. Those who find success or reach “master” or “professional” status start young and build their passions and skills bit by bit, over time—a long time. Think about how many Novembers occur over “a long time.” Think about how many Ocotobers and Decembers pop up, too, and how many non-summer months there are in general. Looking at it that way, November is really 30 more days of opportunity for students to build on the passion that was ignited in the summer, either on their own, with online private lessons (more on that below), or through some other manner entirely. November is also the opening of the doors for past campers to “level up” and register for the next course that falls along their personal pathway, or for new campers to secure their starting point. Of course, there is still plenty of fun to be had, but it all unfolds while setting up students for success today, tomorrow, and on down the line. So, while it's only November in one sense, it's already November in another. 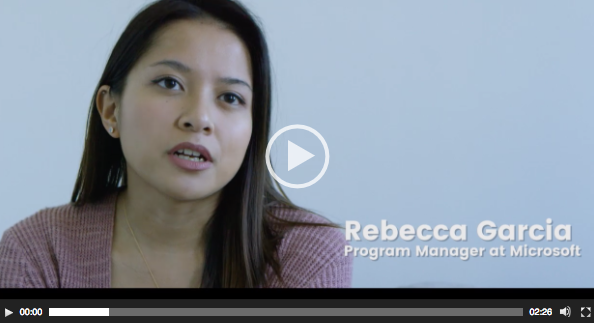 That said, have you met iD Tech alum, Rebecca? You can check out other iD Tech student success stories here. By this point, you’ve heard all about iD Tech Camps, Alexa Café, and iD Tech Academies. But if you’re curious as to what could possibly come next, keep reading. Actually, if you have a student who has attended at least three weeks of an iD Tech summer program already, then keep reading. And, if you have a student 16–19 years old, who would flourish in an advanced tech program held over four weeks at Stanford summer camps, please, keep reading. It’s called AcademyNEXT, and in addition to everything I’ve already mentioned, it’s a unique opportunity for our most experienced students to go the next step—working to solve some of the world’s biggest problems, leading to the chance to connect with recruiters from top Silicon Valley Companies. All of this set within the vibe of a young startup where students get fully immersed in the latest in breakthrough data science, machine learning, and artificial intelligence. To summarize: this is the chance for a very select group of students to show off their skills and creativity, build an impressive digital portfolio, and leave with a clear path to their dream career. There are some guidelines, though. If interested, please check them out. Online Private Lessons where students of any age can learn any topic, anytime, with a certified iD Tech instructor. 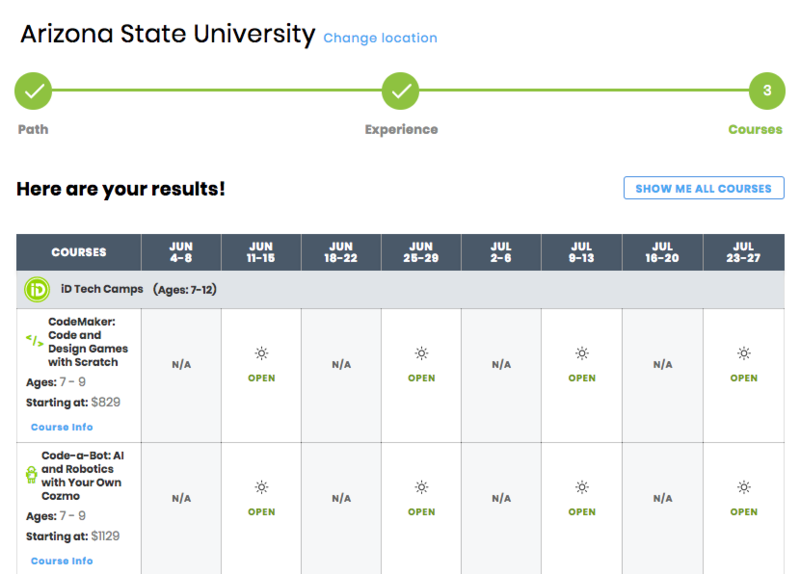 Advising Sessions where ages 13 and up engage in 60-minute, one-on-one meetups to cover insights, tips, and tools for an extra edge for college. Continuing Education Units, also for ages 13 and up, to certify completion of courses with college-level difficulty and assist with advanced placement. These College Prep add-ons can be purchased in conjunction with our summer programs during checkout or after registration. Really, it’s up to you! If you’ve made it this far, you’re more than ready to make the next move. Should anything new and shiny appear from here on out, it’ll be communicated via our social profiles, so be sure to connect and read our reviews on Facebook, Twitter, Instagram, and Pinterest.